A premium grade solvent adhesive that reduces noise pollution and is an Eco friendly alternative to PVC. 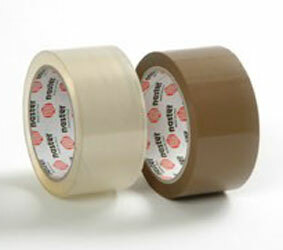 A heavy duty tape ideal for bundling and industrial packaging. Can be used without a dispenser. This products high performance and versatility make it one of our best selling ranges. 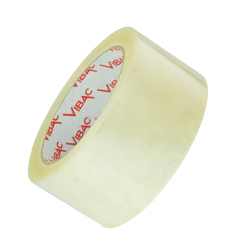 All machine length rolls (990m) are 28mu; Vibac code 500/501. 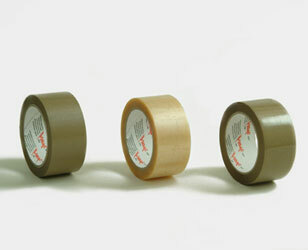 An economy grade packaging tape. An economy grade that offers the benefit of reduced noise pollution and slow release. Need to identify your product types more easily? Do you wish to seal your cartons in your corporate colour? 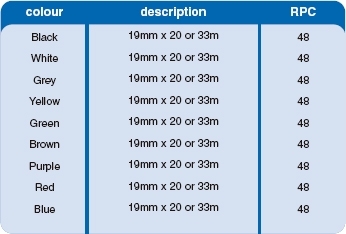 At Contact we stock a wide range of colours that are 50mm x 66m per roll, 36 rolls per carton. 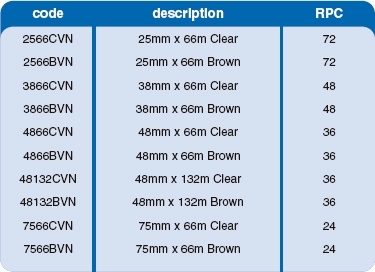 9mm & 25mm widths are also in stock. 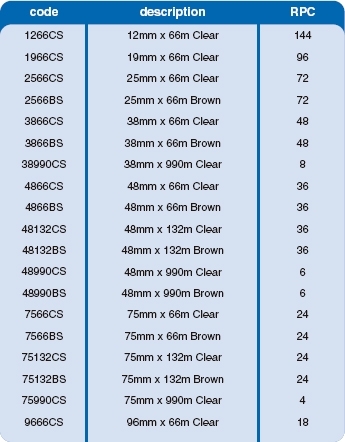 We can even match any pantone colour you require - just phone for further details. 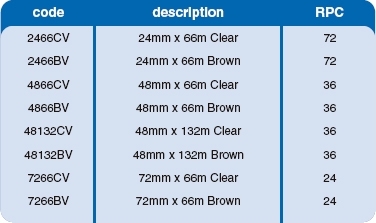 Standard colours available from stock are: Blue, Red, Green, Yellow, White, Black, Orange. 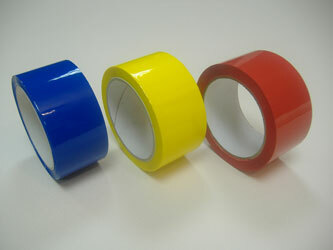 Chevron tapes are available from stock. 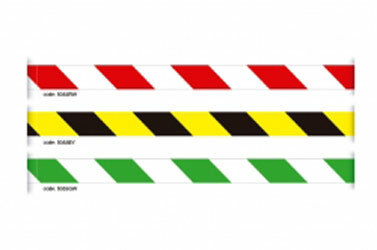 Ideal for lane marking or identifying hazardous areas in your warehouse or building site. 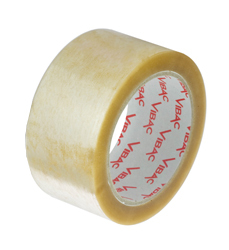 A low cost general purpose ducting tape that is ideal for securing temporary flooring, emergency repair work and building. Its water resistant surface and easy tear properties make it a must for any tool bag. 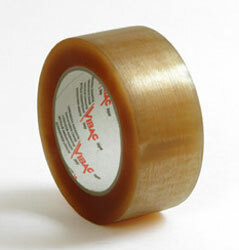 With its strands of glass fibre running one way only, monofilament tape is excellent for bundling pipes and rods together. 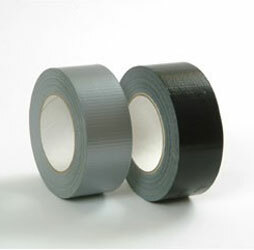 Crossweave tape, with its reinforced strands running in both directions, make it ideal for sealing cartons for export or where that extra strength is needed. 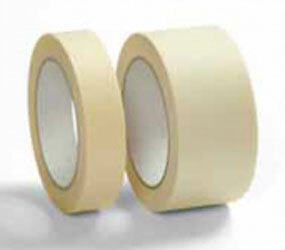 A general purpose tape used for coatings and surface protection. 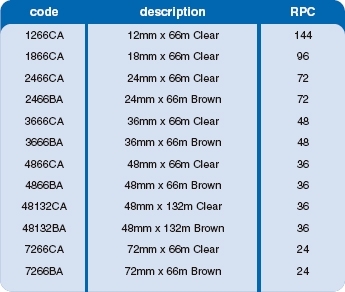 Automotive and high temperature grades are also available. 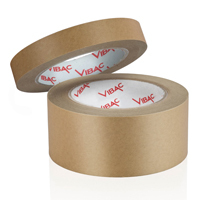 Water activated gummed paper tape and self adhesive kraft paper tape offer excellent sealing qualities. Being paper based products they are recyclable and environmentally friendly. Available in both gummed side in (GSI) and gummed side out (GSO). 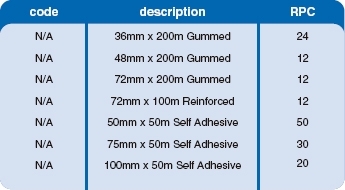 Available in 40 Micron self wound or 30 Micron with a backing paper. Widely used in the double glazing industry and ideal for both thermal and cold store insulation. 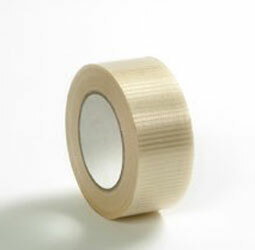 A general purpose polypropylene tape that is ideal for use in stationery, crafts and low temperature splicing. Used for loom harnessing in electronics and automotive industries, electrical cable and wiring insulation, floor marking and colour coding.